Fall is a great time for horsing around.  It’s a little quieter, and both the horses and the wranglers seem to have a skosh more energy. If you’re a rider who hasn’t been on a horse in awhile and would like a lesson on the trail or in the arena, that can be arranged by contacting guest services in advance. If an hour or two is not enough riding for you, we now also offer a new Scenic Half-Day Picnic Ride. 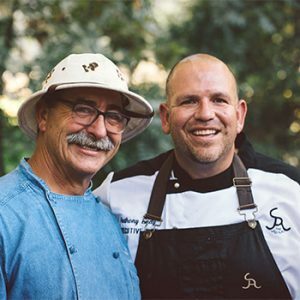 Your guide will have a tasty picnic lunch and lead you up to a secluded spot above the Alisal private lake for a little taste of the Wild West experience. Some other horse-related activities that are sure to be a big hit with the whole family, include: Ride to Rifles where you can (guests 12 and up) get aboard a trusty steed and ride to the Lake’s air rifle range for some target practice, then return to the barn, full of cowboy swagger. 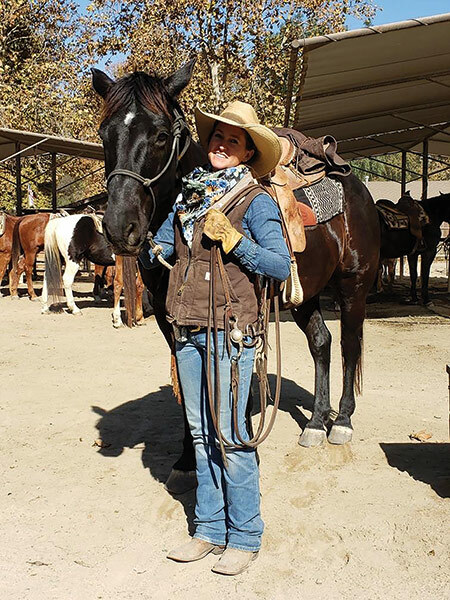 Cowpokes and Ponies is a relaxed non-riding class that meets in the corral to show you the ropes of horse grooming and horse communication. You will get the chance to lead your horse through an obstacle course. It’s a fun challenge for both you and your equine. Manes and Tails lets you learn to tend to and bond with horses. If getting hands-on with a beautiful horse is on your wish list, this grooming class is sure to be a favorite of yours. For riders we are pleased to offer our popular class Barrel Racing Skills. 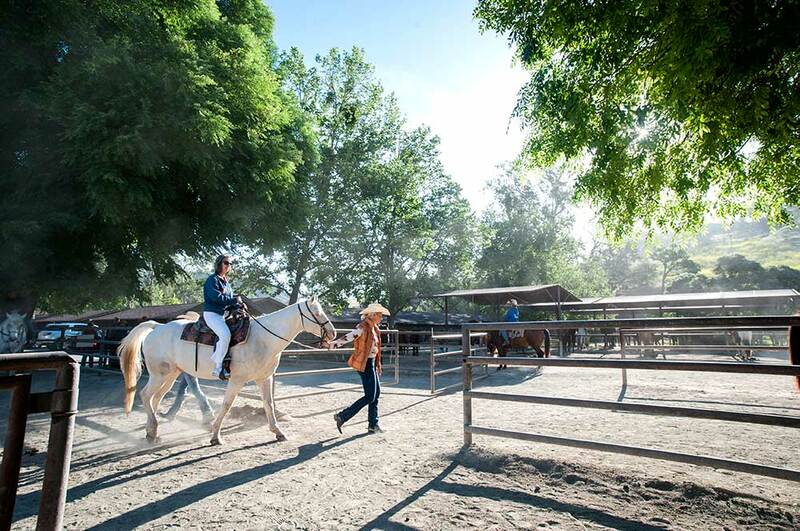 The class is guided by our experienced wranglers and lets you take your riding to the next level. Even if you simply love watching horses we offer a chance to check out the herd as they get ready to start their day. We call it Wrangling in the Herd. You’re welcome to watch our wranglers ride out into the pastures to gather up the horses. If the sight of hooves pounding and dust flying, sounds good, then you won’t want to miss this. Check times with Guest Services. 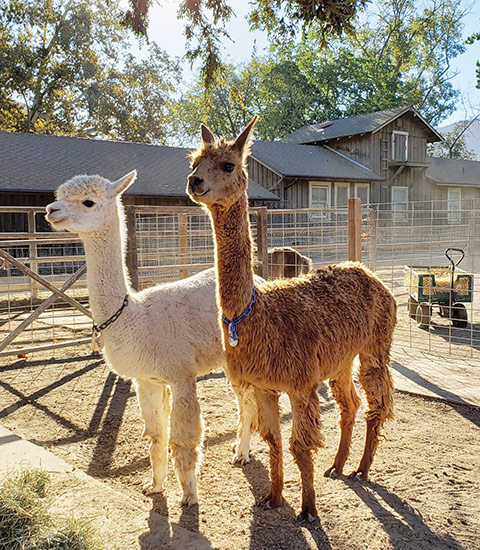 These activities are just a few of the many options available through the barn. So prepare to warm up your yeehaws and yippee ki yays! 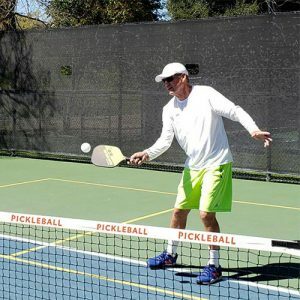 Check out our featured packages and book your visit today. 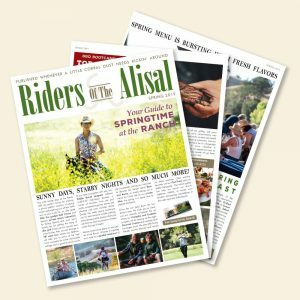 This article was originally published in the Fall 2018 issue of Riders of The Alisal, our Ranch newsletter that covers news, events, and the friendly people of The Alisal. 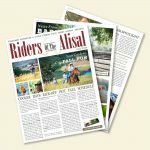 Subscribe to receive our newsletters or connect with us on Instagram, Facebook, or Twitter, to receive future issues of Riders of The Alisal. We enjoyed ourselves so much that we will be coming back next year!